I’ll be teaching Introduction to the New Testament in the Fall Semester. Enrol before 31 July 2018 to enjoy our early bird offer. 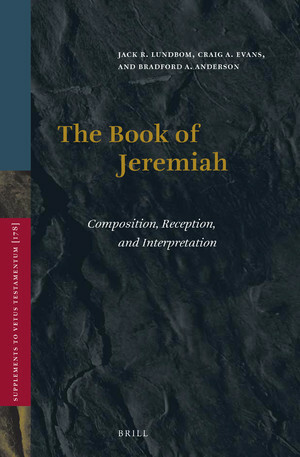 Written by leading experts in the field, The Book of Jeremiah: Composition, Reception, and Interpretation offers a wide-ranging treatment of the main aspects of Jeremiah. Its twenty-four essays fall under four main sections. The first section contains studies of a more general nature, and helps situate Jeremiah in the scribal culture of the ancient world, as well as in relation to the Torah and the Hebrew Prophets. The second section contains commentary on and interpretation of specific passages (or sections) of Jeremiah, as well as essays on its genres and themes. The third section contains essays on the textual history and reception of Jeremiah in Judaism and Christianity. The final section explores various theological aspects of the book of Jeremiah. Sources of Evil: Studies in Mesopotamian Exorcistic Lore is a collection of thirteen essays on the body of knowledge employed by ancient Near Eastern healing experts, most prominently the ‘exorcist’ and the ‘physician’, to help patients who were suffering from misfortunes caused by divine anger, transgressions of taboos, demons, witches, or other sources of evil. 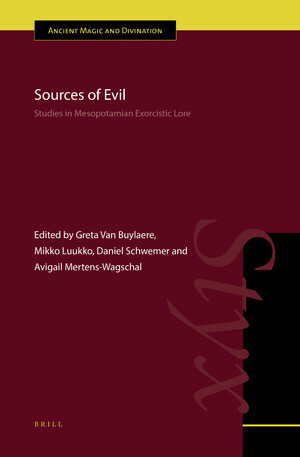 The volume provides new insights into the two most important catalogues of Mesopotamian therapeutic lore, the Exorcist’s Manual and the Aššur Medical Catalogue, and contains discussions of agents of evil and causes of illness, ways of repelling evil and treating patients, the interpretation of natural phenomena in the context of exorcistic lore, and a description of the symbolic cosmos with its divine and demonic inhabitants. An Index and a Preface are also provided as is an Introduction. The editors are to be congratulated for masterfully organizing the parts into a cohesive, flowing whole. Essays appear within the five divisions exactly where they ought to, without any second guessing coming to mind as one reads through them (asking things like ‘why did they put this essay here instead of somewhere else’). The Introduction too is especially helpful as each essay is treated to a careful summary. With the Introductory material at hand, readers can find their way to the essays of most interest and avoid those that are less interesting (to them). The link above contains the table of contents, so readers are referred there for those particulars. The present reviewer found the contributions of Frahm (chapter 1), Mertens-Wagschal (chapter 5), Schwemer (chapter 6), and Jimenez (chapter 12) to be the most engaging and the most informative and interesting. The others were adequate, but these four were exceptional. The general reader will find the work technical and dense. Much is presumed of the volume’s readers. Indeed, without a fairly good grasp of the language and literature of Mesopotamia the volume will be less than ‘open’. But for specialists in one corner of ancient Near Eastern literature this volume is quite essential. Or, to say that another way- if you are keenly involved in and engaged with exorcism and healing as understood in ancient Mesopotamia, you will not want to skip this volume. If, though, a very narrow slice of ancient magical lore isn’t your cup of tea, you might well decide to spend your hard earned Shekels on something else (but do ask your research library to obtain a copy. Someone will read it). After being summoned to a meeting with President Trump in a secret chamber twelve floors beneath the White House, Senator Ben Sasse optimistically assumed the president simply wanted to hear some of his concerns and see whether they could cooperate on common political goals. But when Sasse arrived to the meeting place, Trump himself was nowhere to be found. Two GOP thugs reportedly jumped out and grabbed him, ordering him to bow before a towering Trump statue under threat of being thrown into a fiery furnace. But Sasse refused to bow throughout the playing of the song, and so was given one last chance. When he still did not comply, Republican henchmen heated the furnace seven times, grabbed a struggling Sasse by the collar, and hucked him in. At publishing time, sources had confirmed that although the Republican brute squad had thrown in one figure, they were amazed and frightened to see two figures still standing unharmed in the flames. What Are the Four Best Translations of the Bible (In English)? On his way [back to the Netherlands] he stopped in Basel in the house of Jerome Froben, August, 1535, and attended to the publication of Origen. It was his last work. He fell sick, and died in his seventieth year, July 12, 1536, of his old enemies, the stone and the gout, to which was added dysentery. What Are the Worst English Translations of the Bible? All are absolute Dreck, and absolutely useless for either devotional reading or study of any kind. You’re better off not reading the text at all if you’re reduced to the dank cave of moldy grossness you’ll find yourself in when you dive into the theological cesspool that those volumes are. Visit here for the 411… or deets. Or whatever it is that the Millennials call things these days.